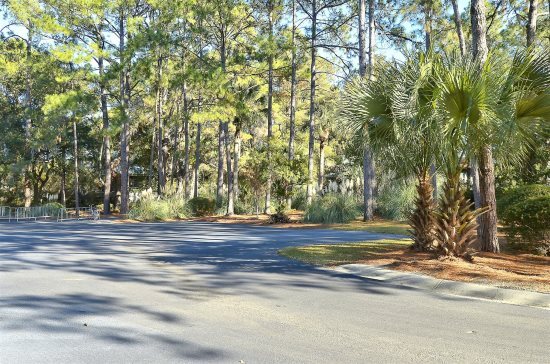 70 North Sea Pines is the perfect house for a large group and at a great value. 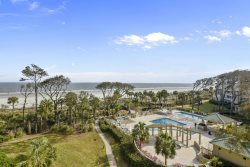 This fantastic 5th row home is located in one of Sea Pines' most desirable areas, with beautiful, wide beaches...the Gold Coast. 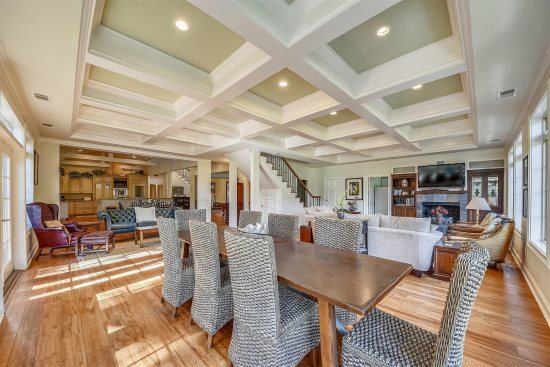 This home is perfect for large families and friends, or ideal for two-three families. There is plenty of room to lounge among three common areas along with tranquil golf views, a large sunny pool, and deck area. Six spacious bedrooms (2 Kings, 2 Queens, 2 Twins, plus one bunk bed room for young children under 10); it sleeps 16 comfortable. For added convenience the large circular driveway can 5 or more cars. The exceptionally large, bright living room has a large flat screen TV and plenty of room for everyone. Plus the attached guest house has a TV area for 6-8. And there's a separate Carolina room for those wanting to read a book while others watch TV. The kitchen is sunlit and well equipped and has two sink areas. The pool is large and perfect for afternoon sunning and beverages after a great day at the beach. Outdoor speakers let you enjoy your favorite music station, or CD's, while relaxing by the pool. Walk to the beach in under 3 minutes on the paved beach walk. Two public golf courses are within a 10 minute walk. Have dinner or a drink at two of the best restaurants on the Island; only a 5 minute walk or bike to Harbour Town, South Beach, or Coligny Plaza ...the central location of this home is excellent. The perfect home in the perfect location, for the perfect vacation!